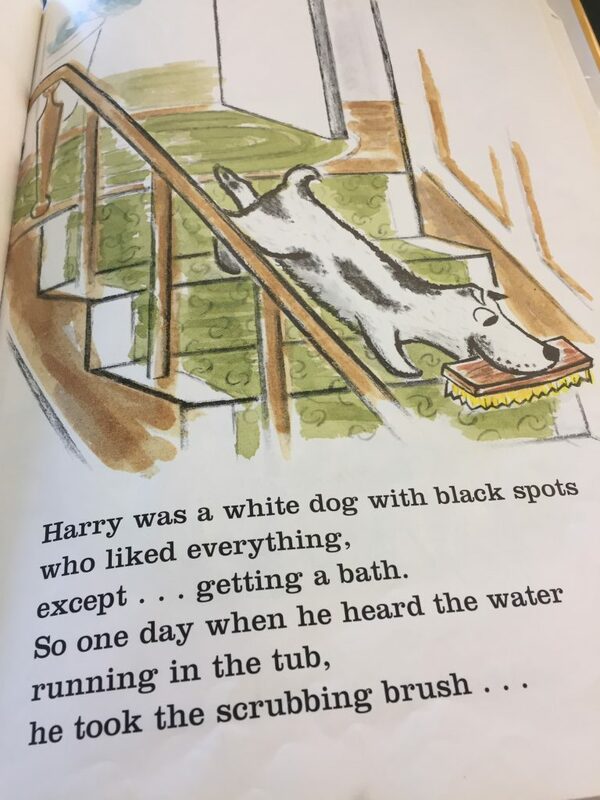 Children will relate to Harry’s struggle to get out of bath time. My kids seemed to struggle with this on a nightly basis from the ages of 9-11. Why did they have to get a shower again? Because you stink. Again. But instead Harry gets dirty and lost. He is having fun! Harry is confused when his family doesn’t even recognize him! Will the scrub brush hidden in the yard save him? 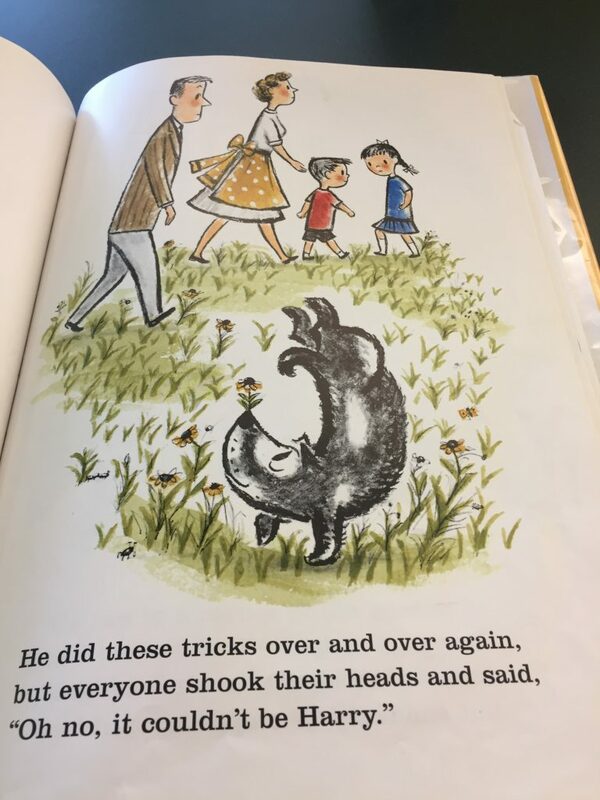 This was one of my favorite books from childhood. I never even had a pet growing up but Harry had a place in my heart. My Harry books are currently in storage so I went to the library today to take these photos. One was missing from the shelf – Harry and the Lady Next Door. That was also a favorite of mine. The ending was very satisfying – especially for Harry. Although Harry as a sea monster in – Harry by the Sea – is also very funny. Especially if you happen to be at the sea. Or going to the sea. 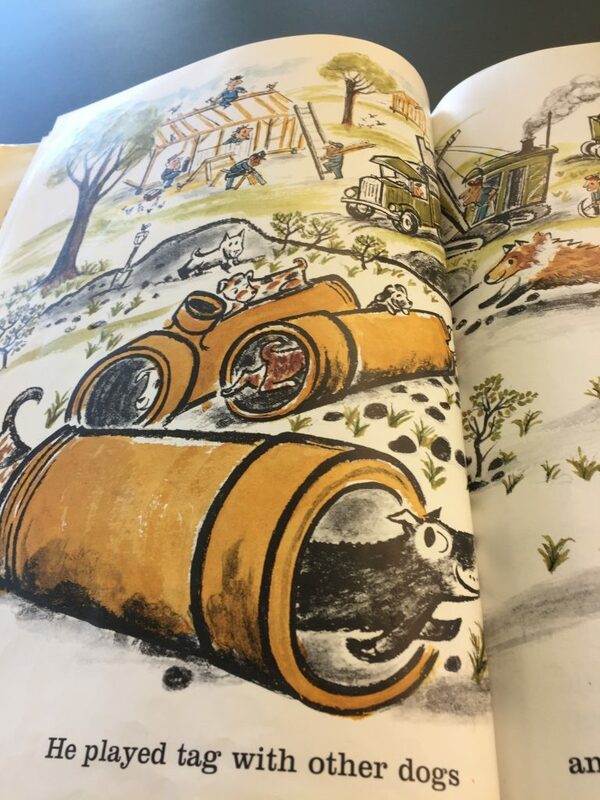 I found some links for you so could hear the stories and preview them for your kiddos before checking them out from the library. 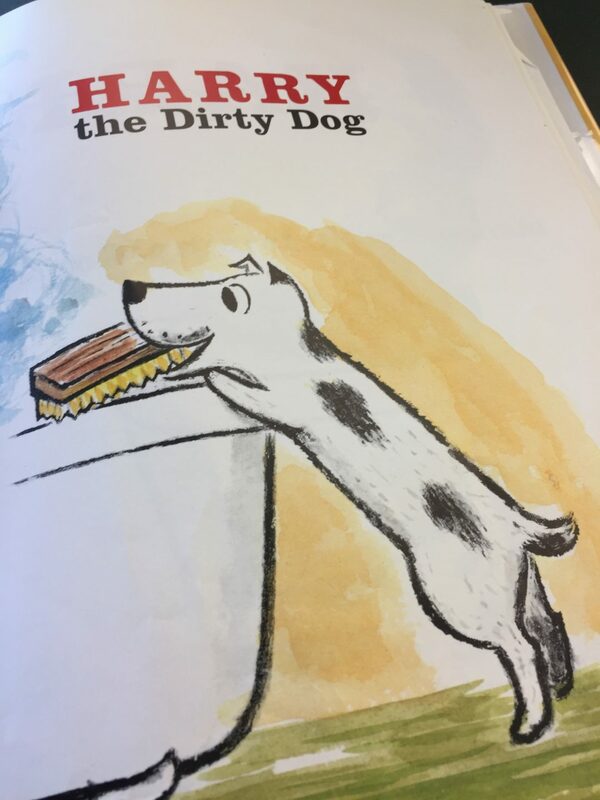 Here is Betty White reading Harry the Dirty Dog. And here is Harry and the Lady Next Door. 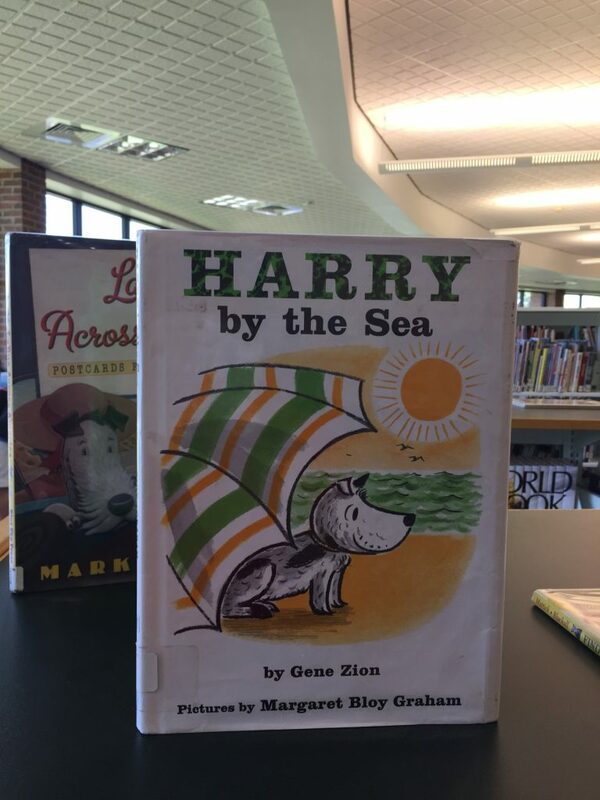 And finally, Harry by the Sea. If you want to buy a copy of any of these books, please consider using these affiliate links. To read my full disclosure, click here.